This is a guest post by Mike Crimmins. If you want to guest post on this blog, click here to get more information. For some people coffee is nothing more than brown water and a source of caffeine. For other people it's an experience like tasting wine, exploring new regions of the world as well as different parts of your tongue. Once you've tasted good coffee, you'll never want to go back to that stale ground coffee that comes in huge plastic bins. The good news is that you don't have to spend a fortune to get great tasting coffee every morning. Here are some tips to help you when it comes to your cup of joe each morning. Buy a coffee grinder and whole beans. You can purchase a decent grinder for twenty bucks. The reason that you need a grinder is that ground coffee goes stale in fifteen minutes. Want to guess how long it was sitting on the grocery store shelf before you picked it up? Buy only enough coffee to last a week or two. There might be a great deal if you buy in bulk, but by the time you get around to using that coffee it's going to be stale, even if you buy whole beans you'll be able to taste the difference after two weeks. Use better water. Most tap water contains some sort of minerals or chemicals that aren't harmful to you, but can be harmful to your coffee. They can change the flavor of your coffee and not in the good way. You can buy a Brita pitcher or a water filter for a faucet for relatively cheap. Plus, you'll be able to use it for more than just your morning brew. 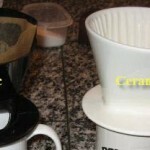 Use two scoops of coffee per cup of water you put into the coffee maker. For some people that might be too strong, but it's what's recommended by the experts. Normally, I don't agree with the coffee snobs, but this time they're on to something. Try two scoops first, then adjust it your preferences. The majority of people make their coffee so weak that you can practically see through it, missing out on a lot of the great flavors. 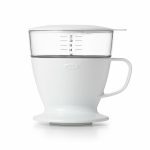 A single cup coffee maker is a great option for a single person or if you wake up earlier than everyone else to head off to work. Try new coffees. If you like your coffee strong, try some dark roasts. If you're on the other side of the spectrum, check out some flavored coffees or coffees from Africa. There's great coffees from counties like Ethiopia that have taste almost wine-like and very easy to drink for fans of lighter roasts. 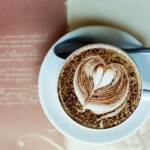 Just for me, try your coffee without any sugar, milk or creamer. I discovered that with fresh coffee, I didn't need hide the taste with sweeteners and artificial flavors. Store your extra coffee beans in something that's air tight, out of light and in a cool dry spot. Air, heat and water are good ways to ruin coffee quickly, so after you open up the bag, put the extra coffee into an air tight canister. There's so much more that can be done to get better tasting coffee, but start with these tips and you'll see a huge difference tomorrow morning. This guest article was written by Mike Crimmins. He is the caffeinated blogger behind Daily Shot Of Coffee, a blog for the average joe coffee drinker. You can also follow Mike on Twitter. If you want to guest post on this blog, click here to get more information. I like Starbucks, but I think making your own coffee is a much better way to go! You’ll save money and really get to make coffee that you love. That’s a good idea, but only if you promise to me that you’ll try some of the hundreds of other brands out there. .-= Jen´s last blog ..Cherish the small stuff =-. Try some of the other kinds. Trying new coffees is my favorite thing about coffee. I hadn’t appreciated that coffee goes stale in as little as fifteen minutes!!! I love coffee, but buy the off-the-shelf stuff at the supermarket. I’m now thinking that’s something I should be revising! 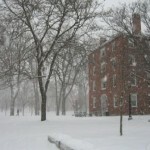 .-= Christine Livingston´s last blog ..3 lessons on work and life from walking 10 miles in the snow =-. Yeah, once you get freshly ground coffee from whole beans, you won’t go back! It makes a huge difference. Im curious as to how you actually prepare coffee as Americans have a reputation (probably unfair) for making awful coffee. 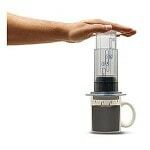 Do you make an Espresso like Europeans or drip/filter coffee? You can’t even buy the filter/drip stuff over here and creamer doesn’t exist. 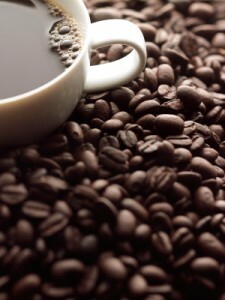 Our coffees are simply espresso with milk or and espresso made with more water for a long black. .-= Anthony Feint´s last blog ..How to Capture Every Mention of Your Name =-. That’s probably just a bad stereotype. There’s about a hundred different ways that Americans make coffee, just as there are in other parts of the world. Europeans drink more instant coffee than the US, so I suppose it kind of evens out.